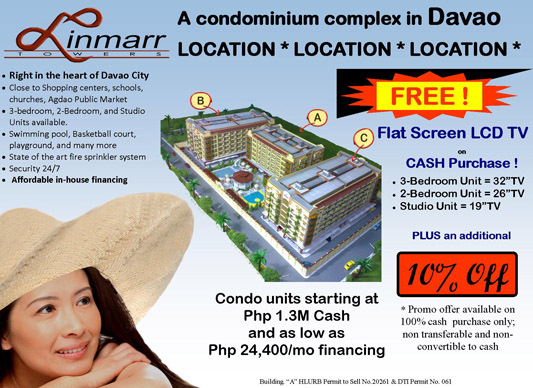 On April 14th to 20th, Linmarr Towers will be presented in SM City (Davao). Mall hours are from 10 am to 9 pm daily. A scale model of the condominium complex, video and several pictures will be available to give you a clear view of the complex. Come and visit us! Our dedicated and friendly team of agents will be there to answer all your questions.